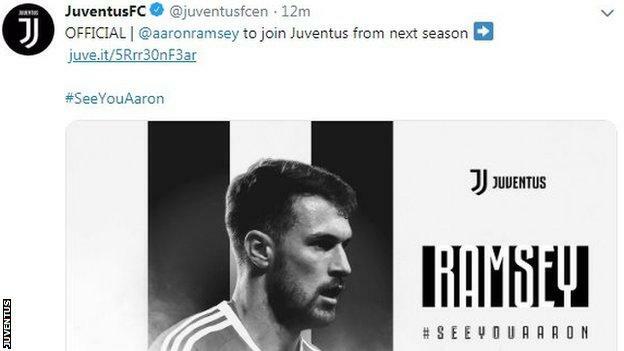 Arsenal midfielder Aaron Ramsey will earn £400,000 a week for four years at Juventus. The 28-year-old will become the highest paid British footballer ever. But someone will earn 3.7m euros (£3.2m). Juventus says those are the “costs” of the deal. He said “heavy heart” not “heavy wallet”. PS: Ozil on £350,000-a-week doesn’t look so pricey now.